Hydroelectric and micro-hydro systems harness energy in flowing water in order to generate electricity. Many states in the US are particularly well suited to generating electricity using hydro technology as it has a relatively wet climate that means there is a plentiful supply of fast running water. Whether installed by a river-based water source or in tidal areas, hydro technology is a great way for homes, businesses and communities to exploit a clean, free and inexhaustible energy source. What’s more, as well as generating energy in an environmentally friendly way, hydro systems can also present an excellent commercial opportunity with a significant return on investment. Because of their ability to produce electricity 24 hours a day, hydropower currently accounts for 50% of the total electricity consumption from renewable technology. Since man first became civilised he has been trying to harness the running power of water to help operate things like grain mills and irrigation systems. Our ancient ancestors were often at the forefront of innovation when it came to renewables such as hydropower. It was simply a matter of waiting until the discovery of electricity came along when the two technologies could be combined to create power plants. Then, throughout the 20th Century, we began to construct huge dams that could be used to generate electricity for millions of homes. In more recent times, hydroelectricity has begun to downscale, with smaller projects being developed on a community scale. Discover the rich history of hydroelectricity. The generation of electricity through hydropower is a relatively simple process. At its core, fast moving water drives a turbine which in turn feeds that mechanical energy into a generator that produces alternating current. The amount of energy which is produced is dependent on a number of factors such as the speed and force of the water and the type of generator being used. Large scale constructions like the Hoover Dam use vast reservoirs to supply a continuous flow of water that can be used to create electricity for hundreds of thousands of homes. Find out more about how hydroelectricity is generated. There are two main types of turbine that make up a hydroelectric system. Impulse turbines are partly above water and reaction turbines are, in contrast, fully submerged but they both do the same job in turning a shaft that feeds into an electrical generator. There are different scales when it comes to hydroelectricity from large industrial installations to smaller, micro hydro plants that produces less than 100 kW. We are also now beginning to explore the prospect of finding ways to harness the power of the sea through tidal hydroelectricity. Explore the different types of hydroelectricity systems. 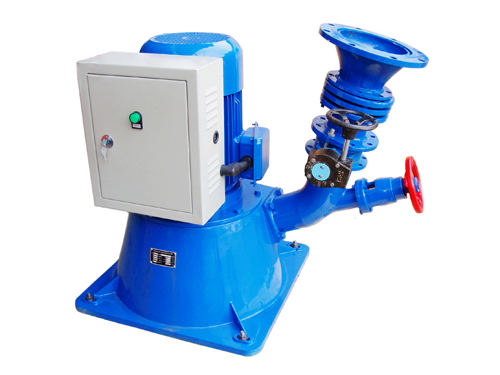 Micro hydro turbines are those systems that generally deliver under 100 kW and are often installed to feed one property. They are easier to install and can be of a variety of types, often depending on the style of turbine that is being used. Like other forms of renewable energy, a micro hydro system can benefit from state and federal incentives such as rebates, grants and tax credits. Find out more about micro hydro turbines. It’s not just communities that can benefit from installing hydroelectricity. With the generous incentives, which mean that there can be a quick turn around on return on investment, many businesses are now beginning to look at the prospect of this form of renewable energy as a realistic proposition. Is hydroelectricity right for your business? Some of the largest construction jobs undertaken in the last century have been for hydroelectricity production. Most major developing countries have invested heavily in the building of large dams that are used to drive huge turbines and generate electricity for millions of people across the world. From the Hoover Dam in the US to the Three Gorges Dam on the Yangtze in China, large scale hydro has made a big difference to the world we live in. Explore the world of large scale hydroelectricity. There are a number of issues that you have to consider when you undertake a hydroelectric project and the primary one amongst these is the suitability of the site. Renewables such as solar PV can be installed almost anywhere, but hydroelectricity needs a fast flowing water source, whether that is caused by a dam system or a naturally flowing river. This is where head and flow rate become important and why location is vital. Find out if your site is suitable for hydroelectricity. The parts that make up a hydroelectric system will depend on the complexity of what you want to do and how much power is going to be produced. Essentially, water is used to drive a turbine which is used to turn a shaft that feeds into a generator that produces alternating current. The electrics will in turn depend on the level of monitoring you want for the system and whether you are feeding into the electricity grid or just powering a single, off-grid property. Discover the different components of a hydroelectric system. There are number of issues to take into account when installing a hydroelectric plant, the most important being the environmental impact. Most installations will need to have a survey done for the FERC to ensure that there is no adverse impact on things like the local landscape and the wildlife, particularly fish. Take a look at the environmental impact of our hydroelectric project. If you are considering installing a hydroelectric plant on your property you need to consider more than just the cost of the equipment. You will also need to be aware of the additional costs that will be incurred through planning and development and the actual installation, especially if the site is in a remote area. Find out more about the cost of hydroelectricity. Unlike other renewable installations like solar which are permissible under current planning law, most hydroelectric projects will need to go through the council to obtain planning permission. They will also normally need to satisfy federal and state criteria that no harm is being done to the site. Find out more about planning permission for hydroelectricity. There are a number of factors that go into deciding whether installing a hydroelectric plant for your property is going to be worth it, quite apart from the initial cost. There are issues of how suitable your site is and all the work that goes into planning and designing the project. Find out if installing hydroelectricity is going to be worth it. There are a number of certification bodies associated with hydroelectricity and other renewable technologies. You can find out more here. The installation of micro hydro is a growth industry and you can explore our list of things to look for and also get access to our database for companies in your area here.